This is the full and detailed views of the cover of the 1990 paperback edition of A Thief of Time. 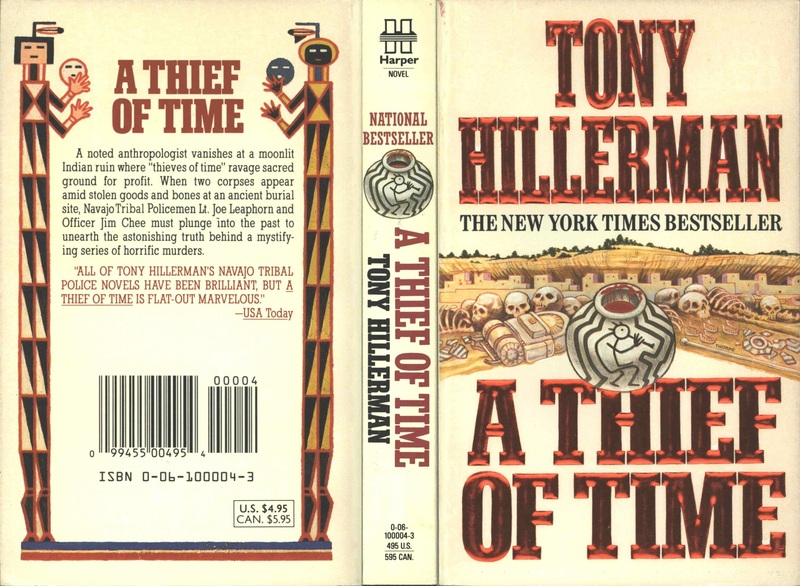 This is the second edition of A Thief of Time was published by Harper and Collins Publishers in New York, and it was published as an inexpensive Harper Paperbacks version. 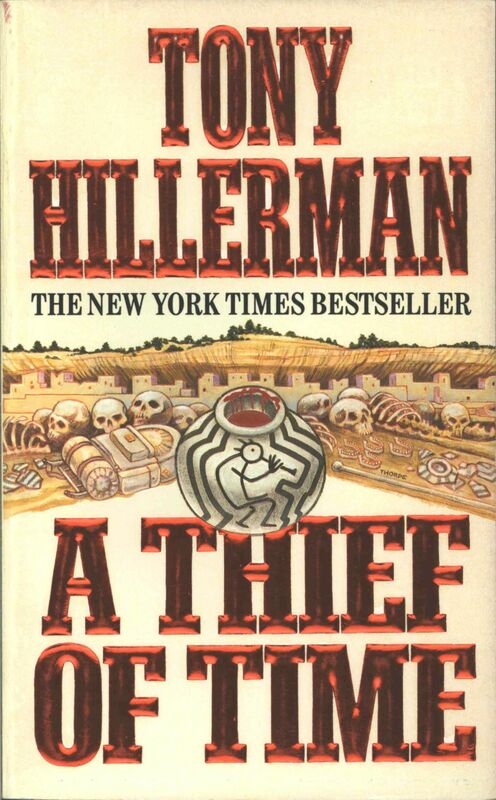 Cover and Design: Cover illustration by Peter Thorpe, the iconic Tony Hillerman cover artist. The cover illustration depicts a black-on-white ceramic olla with Kokopelli which is surrounded by a back pack, ceramic sherds, and human remains. In the background there is an Ancestral Puebloan cliff dwelling. These objects are important to the storyline. This black-on-white ceramic vessel is repeated on the spine, and on the back there are two sand painting stylized figures.